I was recently at Kohl's and came across this new eyeshadow palette from Academy of Colour. I have bought palettes from them in the past and they have all been pretty good quality. 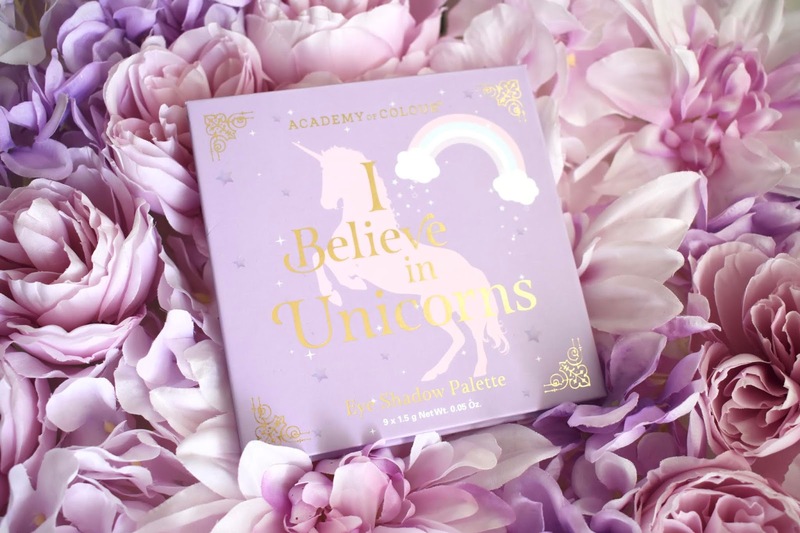 The I Believe in Unicorns Eyeshadow Palette comes with 9 eyeshadows that are a mix of shimmer and mattes. The shadows are more pastel than bright, but I do like the look of the palette. See swatches below! The packaging is cute with a unicorn/fantasy theme which at first I was not that really drawn to. 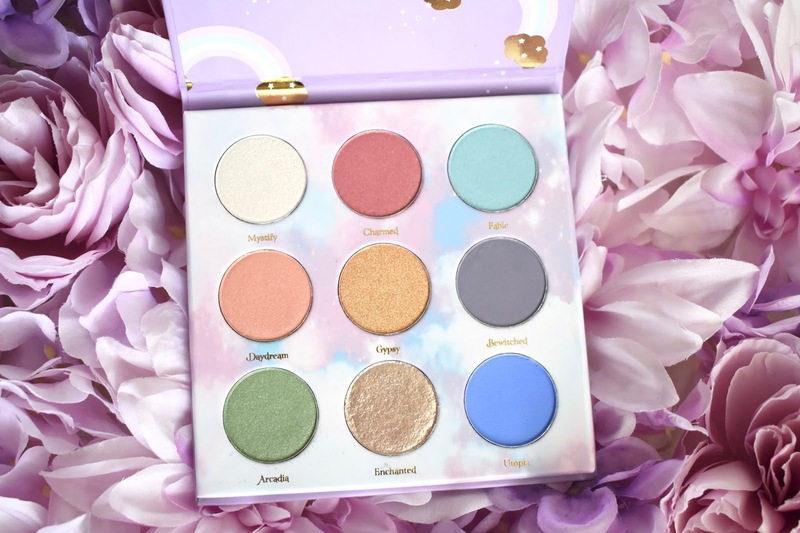 The unicorn themed makeup has been making it's rounds through so many makeup brands and it can feel like too much. But once I opened the palette and saw the soft pastel shades, I wanted to try it out for myself and not focus too much on the packaging. All of the shadows are pigmented and have a good color payoff when applying them to the lids. There is some fallout with the shimmer shades but it's not too much of a problem. The matte shades are not chalky and blend out pretty good. I definitely needed to pull in another eyeshadow palette that has some neutral matte shades to use as transition colors. There are a few shades that are my favorites from this palette such as Mystify, Fable, Bewitched and Enchanted. This is a palette that is fun to play around with and the quality is there for what you pay.